Our decorative fabric lanyards are the perfect and fashionable way to wear an ID card, iPod or just about anything around your neck. Many office workers, Doctors, Nurses, and more wear a lanyard daily. With our wide selection you are sure to find the right fit for you! Starting with stylish fabrics, we design our lanyards to be skinny and fit comfortably around the neck. 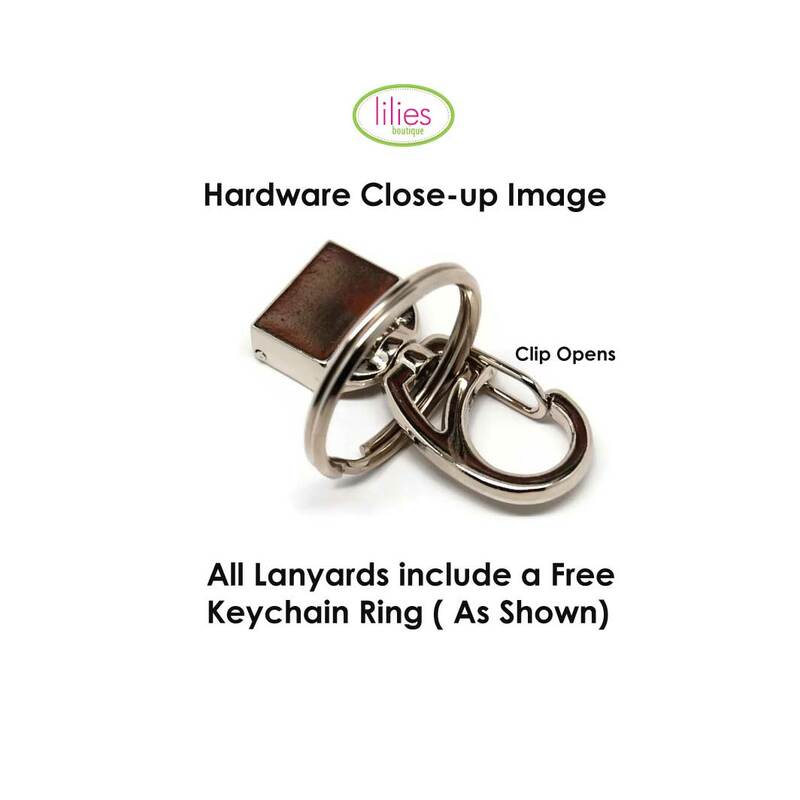 In addition to the clip for an ID Card or other, there is also a separate loop to add a key ring to hold a set of keys.